and turns it into a mobile (Take it Anywhere) Therapeutic TENs massager. How can we offer this E-Touch device at this amazing low price? Because we buy in Bulk and Import Directly from the manufacturers. 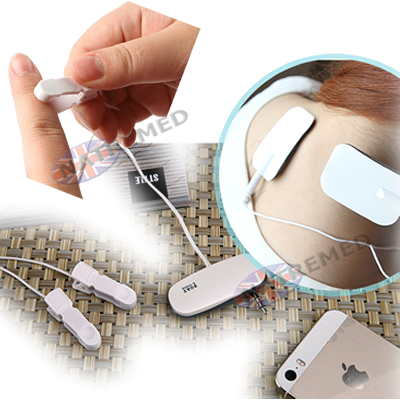 (Take it Anywhere) Therapeutic TENs massager. The SOAY E-touch Smart Phone Massager! Connects to iPhone or iPad's headphone! When the E-Touch is connected to your iPad/iPhone, the app controls the intensity, frequency, treatment & time. 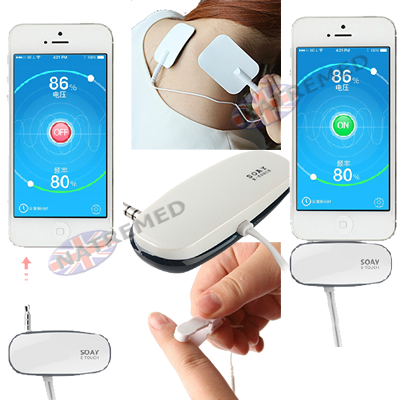 It produces and delivers electric impulses to tired, sore muscles and body acupuncture point through the electrodes. Thus it can trigger muscle contraction, improve muscle resistance to fatigue and relieve the pain. Compact and convenient to use! Very Affordable, and available for immediate dispatch. 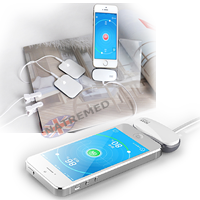 The electrode pads can be used on shoulders, waist, knees, hands, ears, legs, and other body parts and various meridian points. Easy to use, easy to operate, Pure natural therapies, there is no side effects TENs therapy is extremely Low risk, and non evasive. also you should consult your doctor if you are pregnant. SOAY E-Touch Smart Phone Massager. 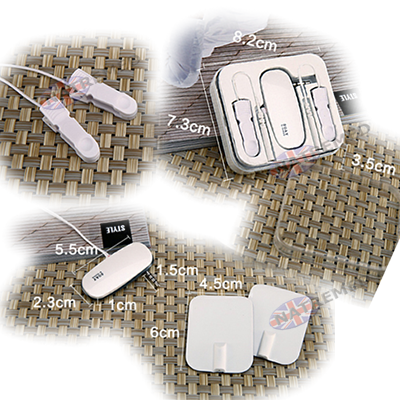 2 x Ear/Figure clip electrodes. (The box/carry case is ideal for keeping your E-Touch clean and protected when not in use).